A few weeks ago, Bethany Mandel, a Forward columnist, called me to discuss a provocative idea for a column: The opioid epidemic that is sweeping like a plague across America was growing among Jews, too, especially the Orthodox. As an Orthodox Jew herself, Bethany was most familiar with the heart-breaking number of deaths caused by drug overdoses in her community, but I urged her to look beyond to get a sense of what is happening to American Jews more broadly. She did. And the response has been overwhelming. Her first column, arguing that it was time to admit the opioid crisis is also a Jewish one, offered a snapshot of communities burying their young, from Orthodox synagogues in Long Island to Reform synagogues in Ohio. So many readers wrote to her with their own stories of pain and, sometimes, redemption, that she shared some of these stories in another column. Bethany told me afterwards that she’s never experienced such an outpour. “People feel like this is going on and their voices are being totally ignored,” she said. Bethany isn’t the only courageous woman speaking out about this epidemic. 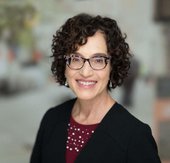 As my colleague Avital Chizhik-Goldschmidt reported, Ruchie Freier, the only Hasidic woman judge in Brooklyn, strongly rebuked the Orthodox school system for contributing to the epidemic by discriminating against students with special needs, some of whom suffer serious psychological harm, addiction and even death. Silence only deepens the heartbreak. If you wish to share your stories, and your solutions, write to us. To cuss or not to cuss. Last week, in light of the profane rant by Anthony Scaramucci, the short-lived White House communications director, I expressed my own discomfort at the media’s complicity in the coarsening of political discourse and asked readers to respond. You sure did. Fair enough. New York Senator Kirsten Gillibrand cursed several times in a June speech about democracy. And Perez is even being criticized by fellow Democrats for some of the foul language in his speeches. Keep writing to me with your thoughts. This newsletter is coming to you from Aspen, Colorado, where I’ve been a guest speaker at an extraordinary pair of retreats on Jewish philanthropy hosted by the Harold Grinspoon Foundation. After my last talk tomorrow evening, I’ll be on vacation for another week. Jane Looking Forward will resume upon my return. This story "Jane Looking Forward: Opiate Addiction In Our Community — And More" was written by Jane Eisner.